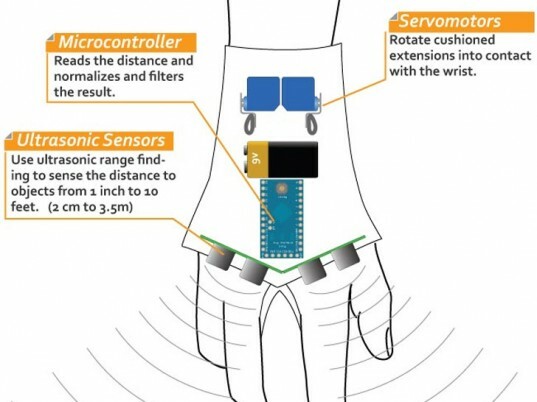 Meet the Tacit, otherwise known as the “Hand-Mounted Haptic Feedback Sonar Obstacle Avoidance Assistance Device.” While it may look like something your favorite mutant superhero might sport, the glove has very real-world applications. Designed by Steve Hoefer of Grathio Labs, the haptic device comprises ultrasonic sensors that allow the blind to “see” their surroundings much like bats, dolphins, and Daredevil do. Hoefer provides detailed instructions on how to make your own for about $65. The coolest part? Rather than sell the Tacit for an impossible price, Hoefer provides detailed instructions on how to make your own for about $65. “I don’t see the point of an accessibility device that has an inaccessible price tag,” Hoefer says. Just don’t be a jerk and sell it without asking him first, he adds. Meet the Tacit, otherwise known as the "Hand-Mounted Haptic Feedback Sonar Obstacle Avoidance Assistance Device." While it may look like something your favorite mutant superhero might sport, the glove has very real-world applications. 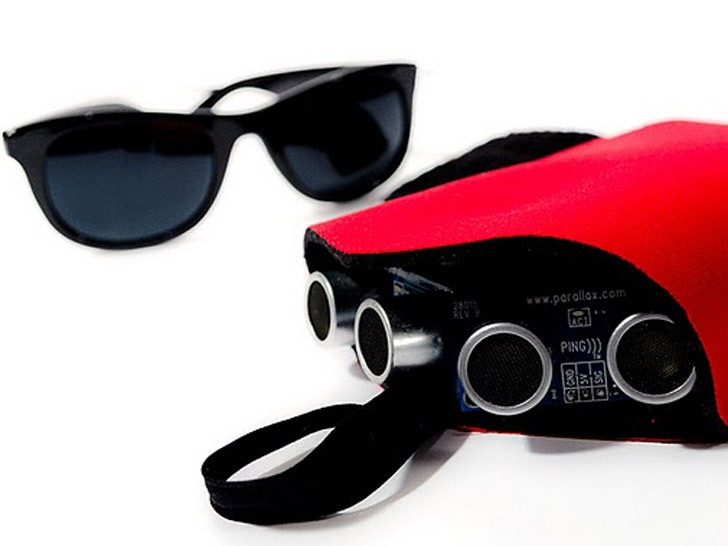 Designed by Steve Hoefer of Grathio Labs, the haptic device comprises ultrasonic sensors that allow the blind to "see" their surroundings much like bats, dolphins, and Daredevil do.